The NMSB III-D is a flush-mount, surface barrier for severe-threat security facilities. Flush-mount barriers create no obstacles on existing roadway and are ideal for snowplow passage. The NMSB III-D is DOS K12 L3 certified to stop a 15,000-pound vehicle traveling at 50 mph. The average barrier opening is 10 ft. (3.05 meters). 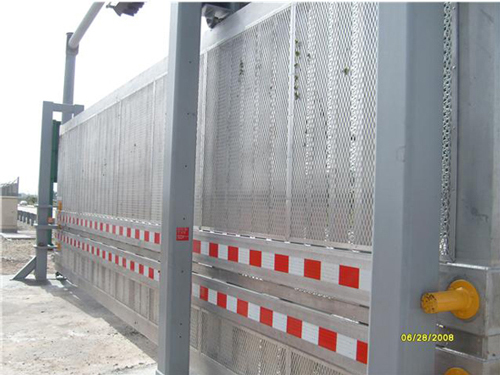 Each barrier is hot-dip galvanized for years of service and includes a NEMA standard, self-contained attached housing unit and/or control panel enclosure. 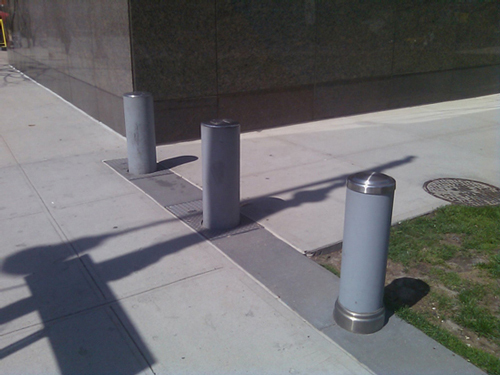 Standard barrier deployment time is three to five seconds and emergency up (E-UP) is from one to two seconds. Manual operation is provided without the need for hydraulics or power. Integrated traffic lights and gate arms can be ordered with the barrier, providing a comprehensive safety and security system. Clear opening sizes from 8 ft. to 15 ft. are available. Typical power for this barrier is 208v, 3 phase, 50hz or 60hz. Over 75 AMC in U.S.